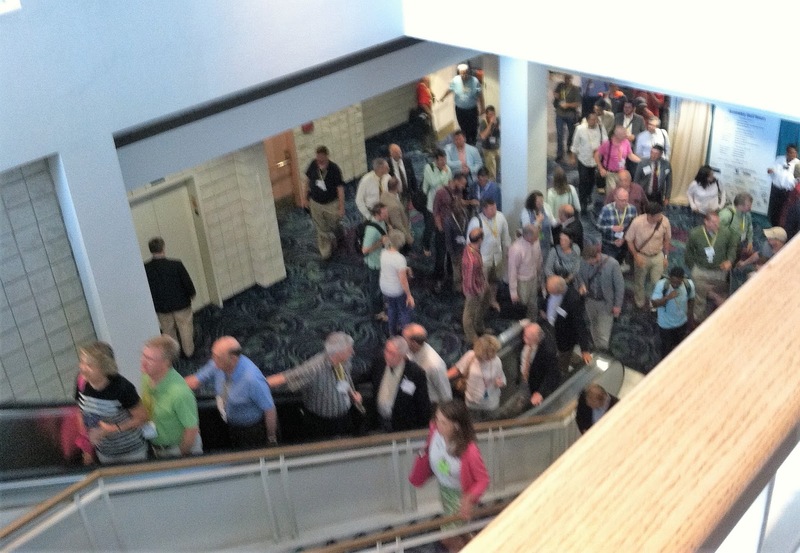 Many churches hold national annual meetings in the late spring or early summer to conduct the business of the denomination. I think that a pastor's wife can benefit from occasional attendance at such gatherings, especially if her local church is in an area that doesn't offer much support for ministry. I go to our General Assembly (GA) from time-to-time, and it protects me from insular thinking. This year in Mobile, Alabama, I was able to sing with Keith and Kristyn Getty, hear Timothy Keller preach and enjoy Christian fellowship with like-minded people from around the world. This meeting of a small American denomination reminded me that God is at work in a big way in the church universal. In addition, a highlight for the solo pastors in the group may be the daily worship service. These men are freed from their normal responsibilities of leading in worship and are able to sit under the preaching of some of the finest ministers. One of the sermons we heard this year was given by Timothy Keller on boasting in the Lord. Keller said that everyone boasts in something in order to face his enemies. When the object of boasting is not ourselves, but the Lord, we see more unity in the Church and more effectiveness in our witness. To see Keller's sermon, select "PCA 2016 Wednesday Worship" from this website and forward to 38:47 minutes. The Gettys sing before that point in the video.